My Comments: This comes from Britain, so a little translation may be required, but the message is useful here. Last month, I had a conversation with an widowed client (81 y/o) who was sent an ‘encouraging’ letter, urging her to buy an extended warranty for her 7 year old car. It caused her to be fearful on two fronts: one, the cost of the coverage and two, that her owning a car is now an existential threat to her finances. It has about 25,000 miles on the odometer. After 30 minutes of back and forth, she decided she would to sell the car, stop paying for insurance, gasoline, etc., and tell the warranty company to kiss her a**. If she needs to go to the grocery store, or somewhere else where her friends cannot easily pick her up, she’ll call UBER. She already has the app on her phone. The financial services industry can be a nightmare: from extended warranties to credit reports, everyone is trying to sell you something they claim is “essential”. But how do you spot the rip-off from the essential? Which?, the consumer organization, has put together a list of the top 10 financial products you don’t need to pay for – either because you don’t need them or because you can get them free elsewhere. Why pay for a credit score subscription when a number of firms offer reports free of charge? Experian charges £14.99 a month, or around £180 a year, for a “CreditExpert” subscription, which offers fraud alerts in addition to a daily credit report. An Equifax subscription costs £14.95 a month. Noddle, Clearscore and MoneySavingExpert all offer free credit reports and if you keep a close eye on them you’ll be able to spot any suspicious activity yourself without paying a premium. Millions of people were mis-sold the policies and ended up paying thousands of pounds for insurance they were led to believe was essential. But many didn’t need it or couldn’t use it because they were self-employed, for example. The PPI scandal fueled the rise of firms that offer to manage claims on a “no-win, no-fee” basis. These companies can take up to 40pc of any compensation paid and many consumers don’t realize they can make the claim themselves without charge. The big draw is cover without the need for a medical – so anyone can get a plan – but the longer you live the more it will cost you. If you stop paying you’ll get nothing and will lose everything you’ve already contributed. For example, a 56-year-old who pays £11 a month to Royal London will get a lump sum of £3,012 when they die. They’ll be ahead financially if they die before the age of 79 but if they live longer they will pay more than they get back. If you’re in good health it may be better idea to “self-insure” by putting aside money in a savings account. A number of banks offer accounts that come with add-ons such as travel, mobile and motor insurance for a monthly fee. The cost is typically between £10 and £15 a month, although NatWest’s Black current account costs £28 a month. But the costs can’t always be justified and the value of the extras can vary widely. Analysis by Which? found that some accounts offered benefits worth £346 a year while others added up to just £102. As with PPI, some banks have been accused of miss-selling packaged accounts. For example, if you were told by the bank that you had to have one of these accounts or later discovered that you were too old to be covered by the travel insurance, you may be able to claim your money back. “Lifetime trusts” are supposed to protect your property and assets from being used to pay care home fees. If you need care, the idea is that the trust will cause your assets to be disregarded when you are assessed for state funding. Which? suggested setting up a “will trust” instead, which is more reliable and cheaper. This will mean half the value of the house is disregarded if the surviving spouse needs financial assessment for care. But if you invest in a good-quality machine you’re unlikely to need a warranty. Which? said the majority of white goods it recommended didn’t break down in the first five-years. Instead of buying a pricey warranty the organization suggested setting aside money yourself to pay for any repairs. Unless you’ve got an especially dodgy boiler, you could end up paying much too much to cover it. The average cost of a servicing contract is £242 a year and the average cost of a repair is £194, while an annual service costs around £75. But you’re probably not going to need to get the boiler fixed every year. Which? said it would be cheaper to self-insure and pay for repairs yourself. Most pre-paid funeral plans cost between £3,000 and £5,000 but don’t include everything you might expect, such as burial plots, headstones, flowers or doctor’s fees. You also don’t know what will happen to the funeral provider in the future. We explain what’s covered with life insurance and funeral plans here. Avoid buying mobile phone insurance from a network provider because it’s expensive and you may have to pay a compulsory excess if you need to claim. Which? suggested that insurance could cost as much as £160 a year for an iPhone with an excess of £125. A better option is to add “possessions away from home” cover to your home insurance for around £16 a year. Expect the hard sell when you rent a car. 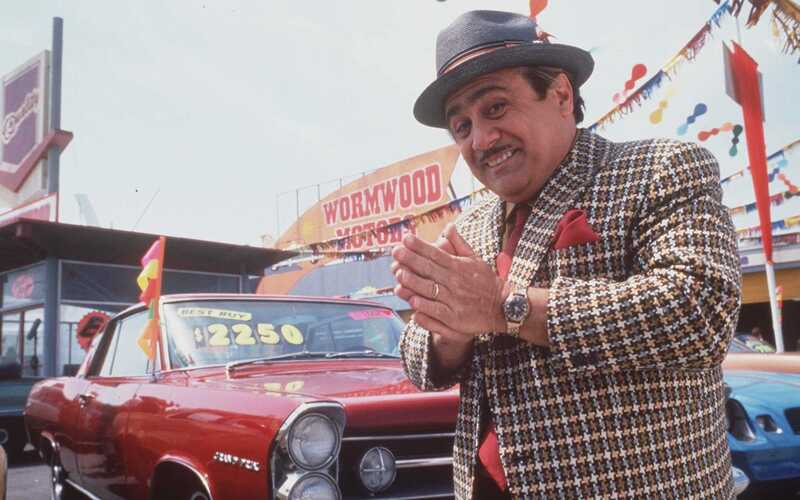 Sales staff will offer you expensive add-ons such as satnavs, baby seats and “super collision damage waiver”.